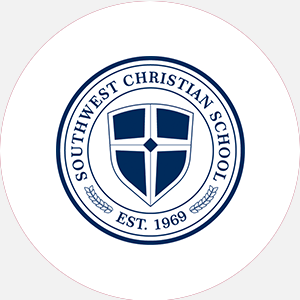 Southwestern Christian College (SWCC) is a four-year, coeducational liberal arts institution affilia…. Southwestern Christian College (SWCC) is a four-year, coeducational liberal arts institution affiliated with the Church of Christ. It was founded in 1949 as Southern Bible Institute in Fort Worth, Texas. The following year, the school moved to Terrell, Texas, where it occupied the former Texas Military College. SWCC strives to provide a wholesome environment for students, one that is conducive to the development of Christian character. Its primary purposes are to offer a well-rounded educational program that will motivate students to value academic excellence; to assist educational, culturally and/or economically disadvantaged students in making their transitions from high school to college; to assist students in preparation for varied vocations in life; and to help prepare future leaders of its church constituency. Among the 15 buildings located on campus is the octagonal Round House Site, one of 20 surviving round houses in the nation. SWCC also has a recently constructed fine arts building and a modern learning resources center that houses the library. Southwestern Christian College is accredited by the Southern Association of Colleges and Schools to award the Bachelor of Arts, Bachelor of Science, and associate degrees. Percentage of students receiving financial aid: 90 Financial Aid Specific to the School Academic grant-in-aid, which pays tuition, room, board, and books, is available to entering freshmen with a 3.70 GPA. This grant is renewable annually if the student maintains a 3.50 GPA. To apply, students should have their high school principals send a recommendation to the Academic Dean stating cumulative GPA on 4.0 scale, class rank, and proposed date of graduation. August 15 (fall); December 15 (spring). Graduation from an accredited high school (or equivalent) and completion of the following units: 3 English, 12 academic subjects. Students must submit an official high school transcript and their class rank, a recommendation from a school official, and a health form completed by a physician. An interview is recommended. A nonrefundable application fee is required. Admission Application Deadline: August 15 (fall); December 15 (spring). Admission Contact: Director of Admissions, Southwestern Christian College, P.O. Box 10, Terrell, Texas 75160; Telephone: 214-524-3341 Ext. 107; Fax: 972-563-7133. A minimum of 124 credit hours and completion of the core requirements to include the following hours: 10 Bible, 12 English, 6 mathematics, 8 science (A.S. or B.S. degrees); 6 social sciences; 4 physical education; and 32 hours in residence. Campus Regulations: Bible course required each semester for full-time students. Automobiles permitted with permission. Daily chapel services required. Midweek religious services encouraged. Off-campus living permitted Campus Services: Health services, remedial instruction. Campus Activities: Social and cultural activities include theater, band, and chorale. A lectureship meeting on religion and current topics is held each year during Thanksgiving week. Students may get involved in the Ram Beat (student-run newspaper) or the Ram (yearbook). Leadership opportunities can be found in the student government, Student Senate, or the various other clubs and organizations such as the Sportmen’s Club, the International Student Organization, the History Club, or the Creative Writing Club. Religious groups include Dorcas Club, Tau Phi Kappa, and the Mission Study Fellowship clubs. National and local fraternities and sororities are represented on campus. Honor societies are also represented on campus. Housing Availability: 304 housing spaces; freshman housing guaranteed; married student housing is available.